One afternoon last fall, I found myself reading my picture book The Sea Serpent and Me to a group of schoolchildren in the island nation of Grenada. The story is about a little girl who befriends a tiny serpent that falls out of her bathroom faucet. I had thought it would appeal to children who lived by the sea, but as I looked at their uncomprehending faces, I realized how wrong I was. It wasn’t just my American accent and unfamiliar vocabulary, but the story’s central dilemma: The girl wants to keep the serpent at home with her, but as each day passes, he grows larger and larger. “What do you think she should do?” I asked, holding up an illustration of the serpent’s coils spilling out of the bathtub. “Kill him and cook him,” one kid suggested. It took me a few seconds to understand that he wasn’t joking. If an enormous sea creature presented itself to you, of course you’d eat it! Talk about first-world problems. Roughly 80 percent of the children’s book world—authors and illustrators, editors, execs, marketers, and reviewers—is white. I think of that kid from time to time when I need to remind myself that my worldview is pretty limited. Within five years, more than half of America’s children and teenagers will have at least one nonwhite parent. 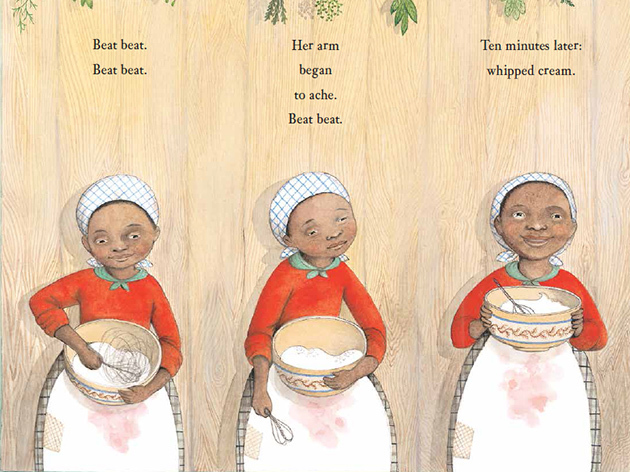 But when the Cooperative Children’s Book Center at the University of Wisconsin-Madison looked at 3,200 children’s books published in the United States last year, it found that only 14 percent had black, Latino, Asian, or Native American main characters. Meanwhile, industry data collected by publisher Lee & Low and others suggest that roughly 80 percent of the children’s book world—authors and illustrators, editors, execs, marketers, and reviewers—is white, like me. Writers and scholars have bemoaned the whiteness of children’s books for decades, but the topic took on new life in 2014, when the influential black author Walter Dean Myers and his son, the author and illustrator Christopher Myers, wrote companion pieces in the New York Times‘ Sunday Review asking, “Where are the people of color in children’s books?” A month later, unwittingly twisting the knife, the industry convention BookCon featured an all-white, all-male panel of “superstar” children’s book authors. Novelist Ellen Oh and like-minded literary types responded with a Twitter campaign—#WeNeedDiverseBooks—that spawned more than 100,000 tweets. In an essay this spring, the book-review journal Kirkus revealed that its reviewers had started mentioning the race of main characters in young-adult and children’s books. 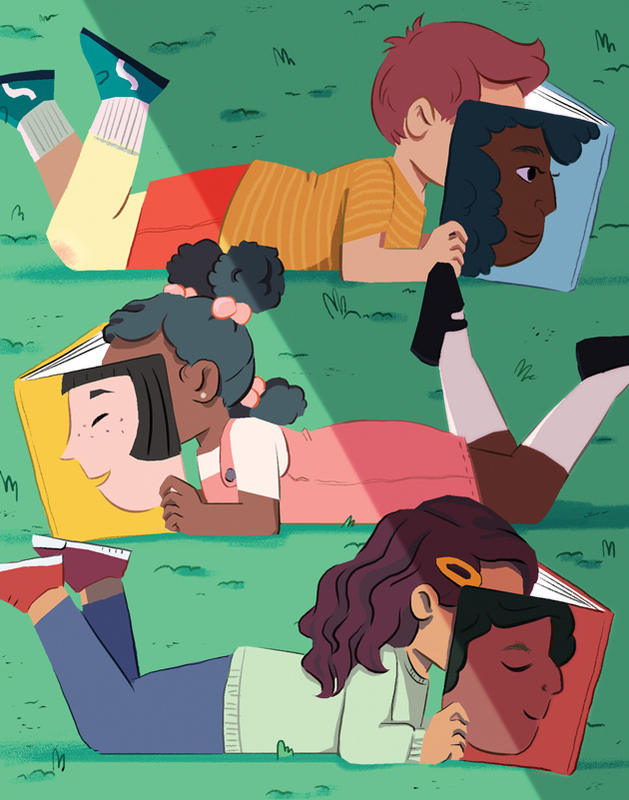 The goal, its editor wrote, was to help librarians, bookstores, and parents find stories with diverse characters—and to challenge the notion of white as the default. Many applauded the move, but others were incensed, among them author Christine Taylor-Butler. For The Lost Tribes, her book about a kid who discovers his parents are aliens, she and her editor consciously chose not to reveal upfront that her main character (like her) is black. Highlighting the race of a nonwhite protagonist, she believes, will lead many buyers to conclude that the book isn’t for them—or the children they cater to. Ellen Oh, the Korean American founder of We Need Diverse Books, points out that librarians don’t fret over whether kids will relate to a title like The One and Only Ivan, told from a gorilla’s perspective, yet faced with a book about a Chinese kid, the literary gatekeepers—from agents all the way down to parents­—may balk. “Some of our most popular books deal with worlds that aren’t Earth and people who aren’t human,” Oh says. “But the people you walk beside on this Earth have stories too.” To complicate matters, a shrinking publishing world has consolidated its marketing budgets. “Readers are led by publishers into fewer and fewer books,” observes Kevin Lewis, a black picture-book author who spent 23 years as an editor at major publishing houses. The result, he says, is that publishers often use a single narrative to represent an entire group’s experience. 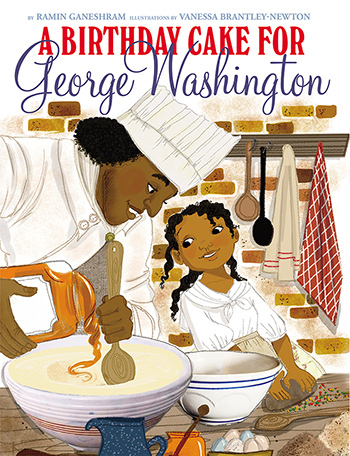 Scholastic recalled this picture book amid criticism that it glossed over the horrors of slavery. The questions roiling the children’s publishing world are among the pressing cultural questions of our time: Whose story gets told, and who gets to tell it? How do you acknowledge oppression without being defined by it? And to what extent should writers bow to popular opinion? There are no simple answers. But what seems clear to me, as a writer struggling to find the best way to tell stories to kids, is that my inevitable mistakes are well worth making. Children, it turns out, are the best critics of all. They read carefully and passionately, and when they sense you have missed an essential aspect of the story, they will be more than happy to point it out to you. This entry was posted in English, Uncategorized and tagged Amy Koester, Brown Girl Dreaming, Children's Literature, Christine Taylor-Butler, Dasha Slatersep, Diversity, Diversity in Children's Literature, Diversity in Literature, e.E. Charlton-Trujillo, Ellen Oh, Emily Jenkins, Lane Smith, Ramin Ganeshram, Sophie Blackall, Vanessa Brantley-Newton by olsond6. Bookmark the permalink.